The last time I used a DIY Olive Oil deep conditioner. The results weren’t bad, however, this was a deep conditioning session. I used TreSemme as my leave-in that day. It never ceases to amaze me. The difference in how I care for my hair now that I’m natural. I never really had much of a hair regimen back when I was relaxed. I could never style it without the help of a professional so I made sure to keep my bi-weekly appointments. Now that I’ve finagled my way through the infuriating clock-ticking transition process, I can finally say I HAVE A REGIMEN and no longer need to rely on my stylist for everything. I actually enjoy the shampoo process now, having more control over what the outcome will be, without struggling with a blow dryer and flat iron for hours only to end up with a puffy mess. But one thing that’s taken me a minute to grasp while transitioning, is the very necessary leave-in conditioner step. While relaxed, I applied a variety of leave-ins, rinse-outs and all sorts of products with the focus being solely on moisturizing and protecting my hair from heat damage. But as a natural, leave-ins not only moisturize hair, but help to define curls and eliminates frizz. They are a necessity, not an option these days. 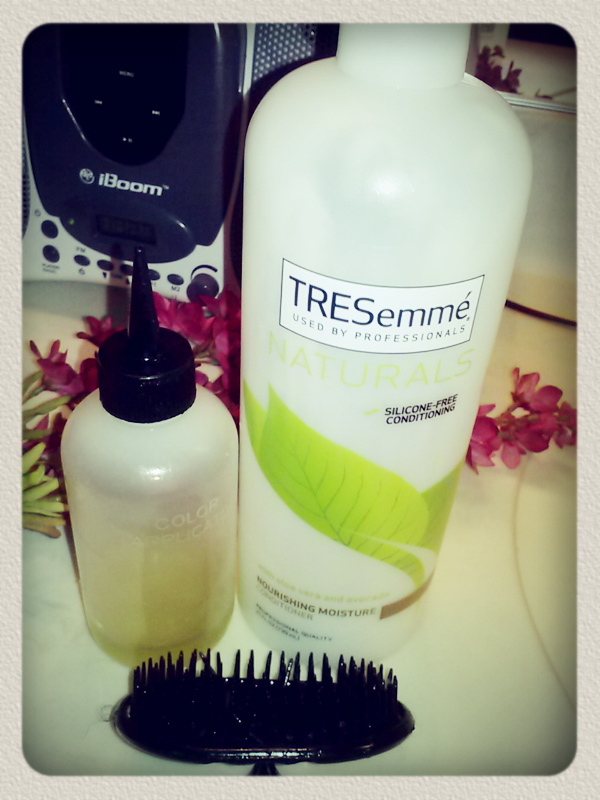 I always apply leave-in conditioner after I’ve washed & detangled and right before applying my favorite gel. By smoothing a leave-in thru each section, making sure to include the ends, my hair stays shiny, soft and moisturized, but there’s one catch (for my hair anyway). I CAN’T do oils OR butters. Sooo many naturals LOVE oils and butters for their hair. They use them as leave-ins & sealants. They deep condition and moisturize with oils and butters and praise the fabulous results they get with twist-outs and finger coils. But for some reason, these products just don’t work for me. My hair always ends up frizzy, weighed down and lacks definition with oils/butters so I gave up! My favorite leave-in is by Living Proof & it’s AH’MAZING…a little goes a long way, the ingredients are good without creating build up and the scent is fresh with a hint of citrus. I can’t be without it! I’m a wash & go natural so the definition and moisture I get from this product makes it worth the (almost $40) price tag for sure. 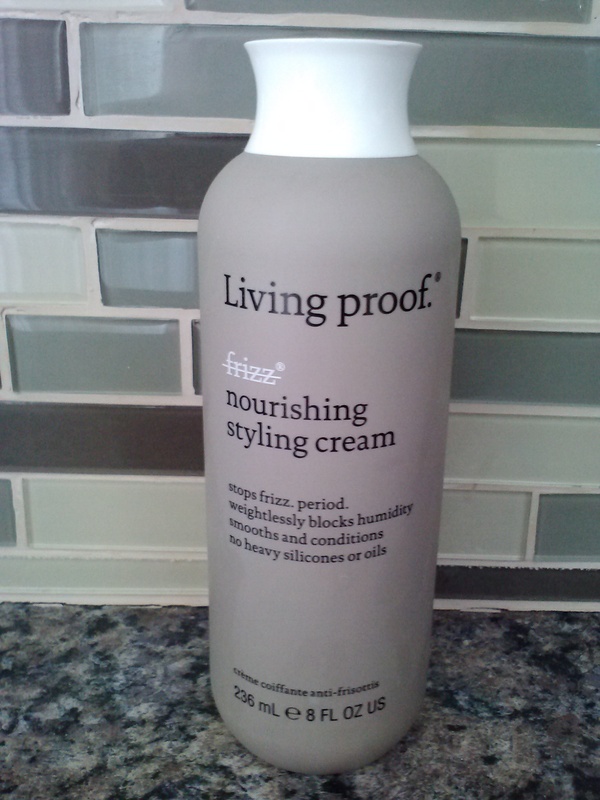 Living Proof Nourishing Styling Cream…. so good, it’s ridiculous! Maybe I’ll give oils/butters another go at some point, since I feel like the outsider, not being able to sample all the great products that others seem to rave about. But for me, creams are the new black. This entry was posted on April 16, 2014 by suite7beautytalk in NATURAL HAIR CHRONICLES and tagged coils, curls, leave-in conditioner, Living Proof, Natural Hair.